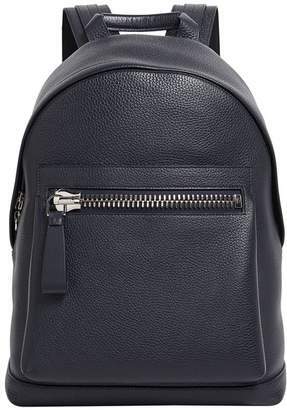 Overview City smart meets sports-luxe style with this TOM FORD backpack. Generously sized to accommodate a busy lifestyle, the Italian-made bag is crafted from grained leather and boasts a padded laptop compartment and multiple pockets for organisation. Complemented by gleaming silver-tone hardware and a chunky zip, it will lend instant polish to everyday looks. H40cm x W33cm x D15cm approx.